Janice Elaine Fontana Ehrhardt, beloved mother, age 80, passed away peacefully on 4 February 2019, at home, surrounded by loved ones, including our little dog, Lucy, after a battle with HSV Encephalitis. Janice was the first of two daughters born to Martha Elaine Houghton Fontana on 19 June 1938 in Portland, Oregon. Janice’s birth father was Julian Dreyer. She was later adopted by her mother’s husband, Del Ownbey, and finally sealed to her mother’s second husband, Theodore Fontana, who was always Daddy! She was married to Heinz Manfred Ehrhardt and Kenneth Bush. She was preceded in death by her son Manfred Christian Ehrhardt. Janice loved the gospel above all things and was an active member her entire life. She served in many capacities in The Church of Jesus Christ of Latter-day Saints, but always loved teaching the very most! Jan was an outstanding teacher and loved reading, learning, and playing along with the television program, Jeopardy. She attended Brigham Young University and loved studying languages. She was fluent in French and Spanish. She loved movies and musical theater. But most of all, she loved her family and felt privileged to have grown up with so many cousins. She was a full-time caregiver for her son, Chris and, at the end of their lives, for both parents. She will be missed by her children, Rachel Julianne Ehrhardt and Matthew Curtis (Angela) Bush, but is having a wonderful reunion with her first son, Manfred Christian Ehrhardt. She will also be missed by her beloved sister and brother-in-law Kathryn and Louis Raffetto, and brothers Joseph (Shirley) Fontana, and William (Marsha) Fontana. She also leaves behind her grandson, Eric Matthew Bush and many nieces and nephews: Joshua Fontana (dec.), Anthony (Sandy) Raffetto, Daniel (Tiffany) Raffetto, Andrea Rossow, Leah (Durand) Simpson, Hannah (Ege) Gurer, Andrew (Kayla) Raffetto, Jacob Raffetto (dec.), Mary Raffetto, Angelina Raffetto, Sabrina Raffetto, Sophia Alexis Raffetto, Barbara Fontana, Sandy Fontana (dec.), Troy Fontana, Jeffrey Fontana, and Shawn Fontana, along with numerous cousins. A special Open House for our Idaho friends will be held, in our home, at 5815 W Rotherham Dr, Eagle, ID, on Sunday, 10 February 2019 from 4:00-6:00 pm. A Memorial Service will be held Saturday, 16 February 2019, 7:00pm at the Butler West Stake Center, 1845 East 7200 South, Cottonwood Heights, UT 84121. There will be a viewing held at Cannon Mortuary, 2460 E. Bengal Blvd. (7600 So), Cottonwood Heights, UT from 9:30 – 11:00am that morning, followed by burial at 12:00pm at Wasatch Lawn Memorial Park, 3401 S Highland Dr, Salt Lake City, UT 84106. Many special thanks go to the wonderful staff and caregivers of Keystone Hospice, particularly CJ Wilkinson, Herlinda Goble, and Father Chris Zoephel who were so tender, caring, and gentle with mom, and so caring, patient, and supportive of her daughter, who cared for her at home. Thanks also to the sweet members of the River Walk and Park Lane Wards in Eagle, Idaho. Also, special thanks to our wonderful Butler 27th Ward Family who so graciously helped with all of the long-distance preparations for mom’s burial and Memorial Service. 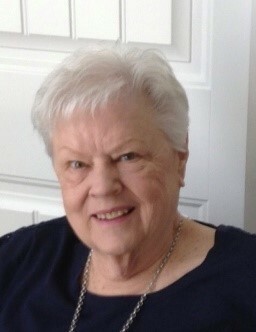 Several times in mom’s life, she faced circumstances requiring her to turn to her Bishop for financial help, so, in lieu of flowers, please help others by making contributions to www.LDScharities.org of The Church of Jesus Christ of Latter-day Saints. Cannon Mortuary Funeral Directors.